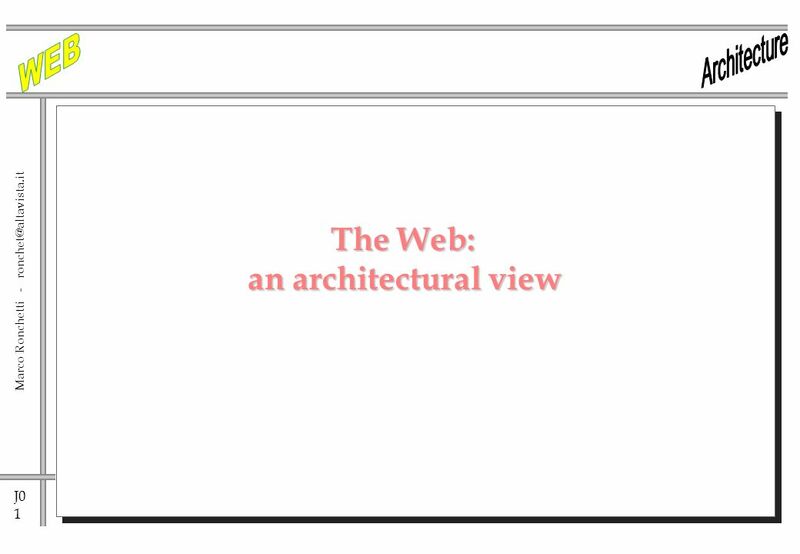 J0 1 Marco Ronchetti - The Web: an architectural view. 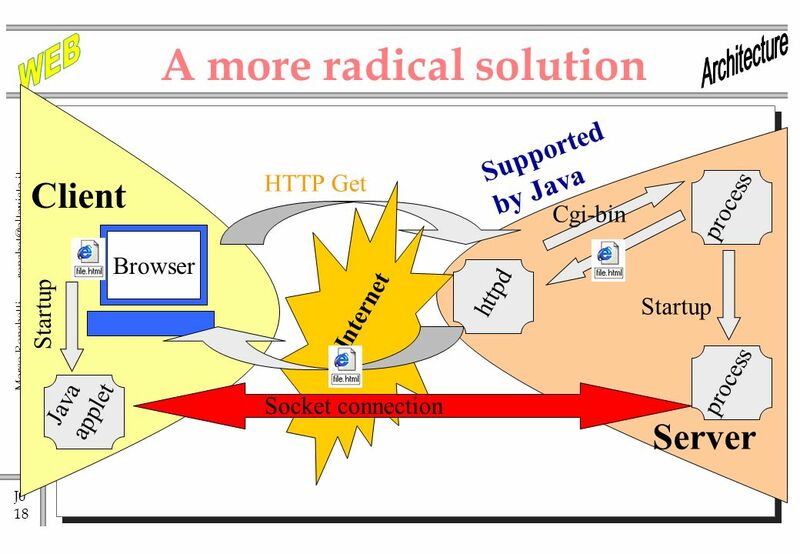 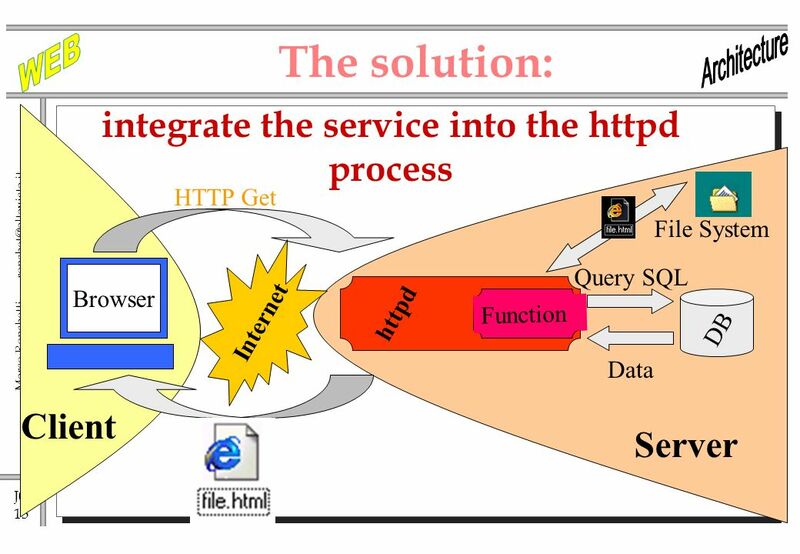 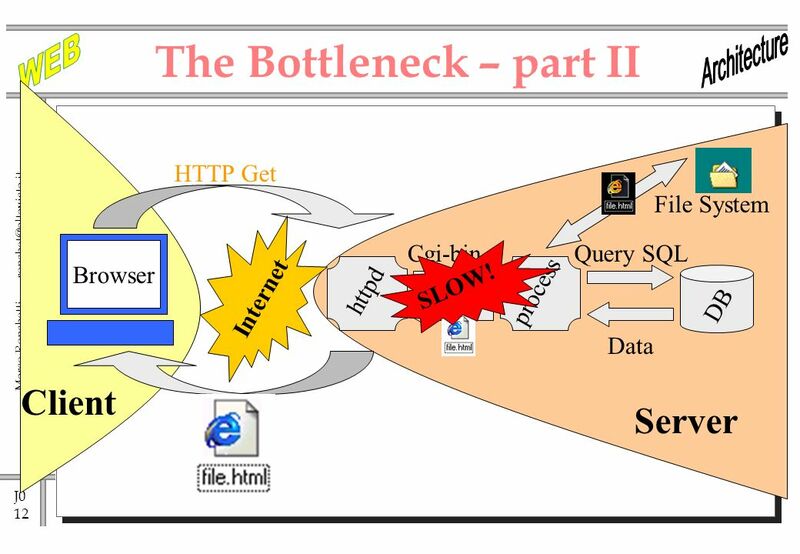 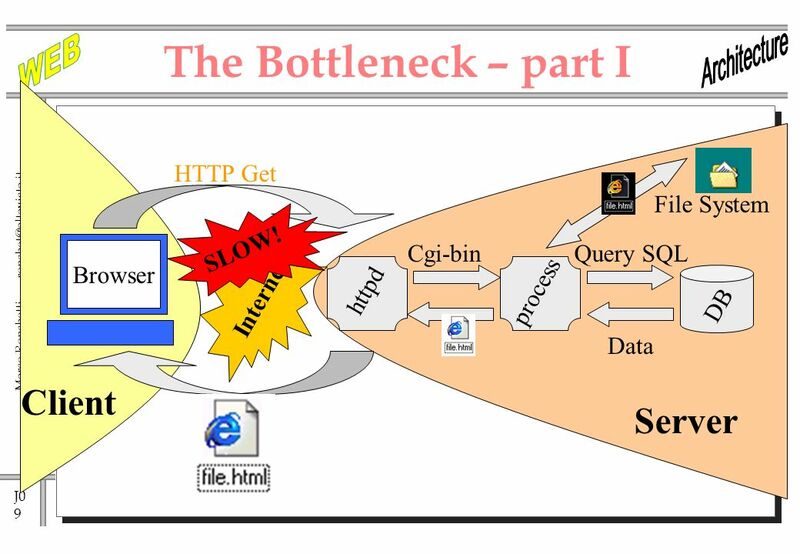 10 J0 10 Marco Ronchetti - ronchet@altavista.it httpd The solution: Internet HTTP Get Cgi-binQuery SQL process DB Data Client Smart browser How? 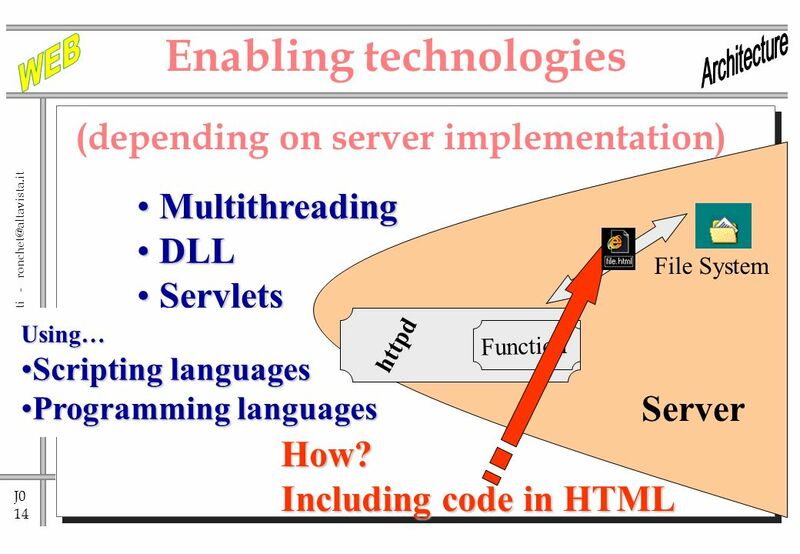 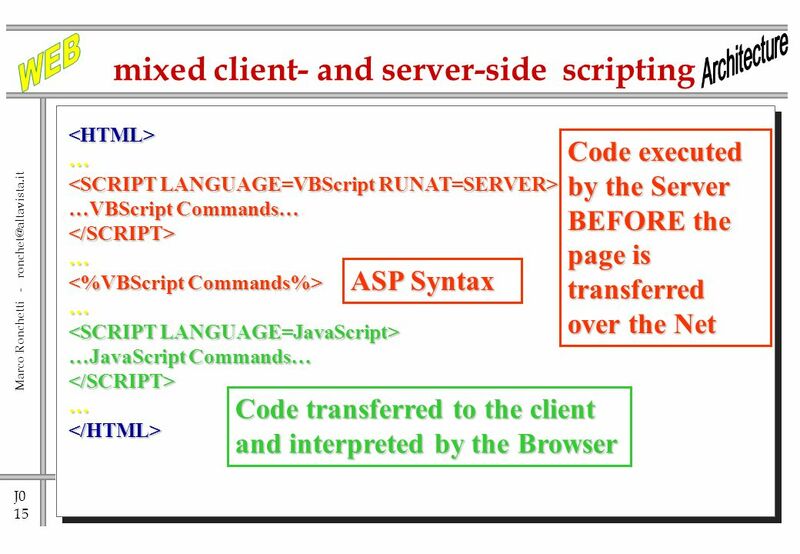 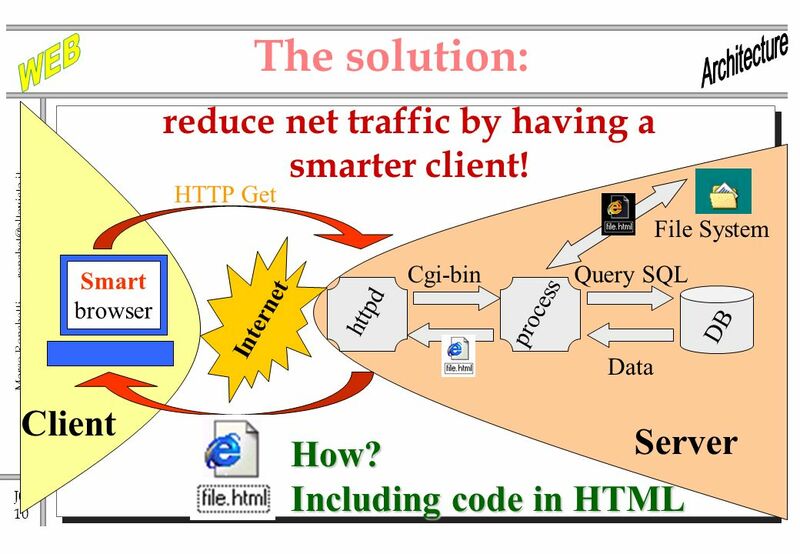 Including code in HTML Server File System reduce net traffic by having a smarter client! 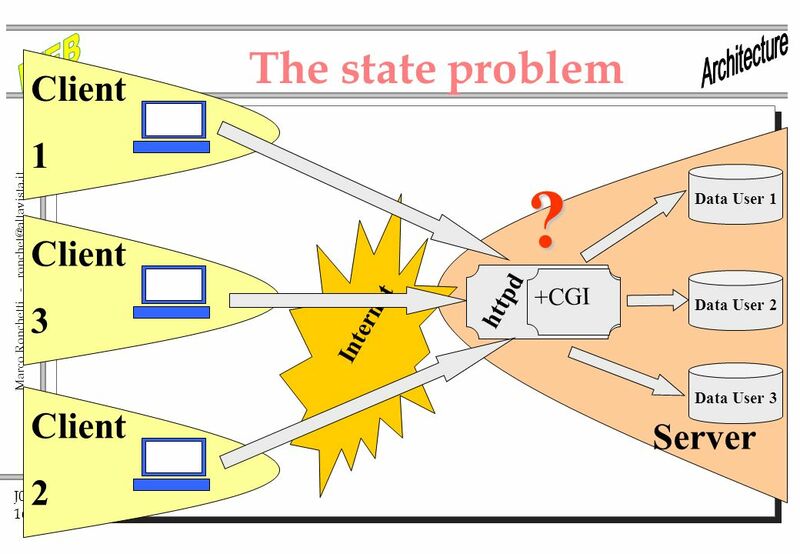 16 J0 16 Marco Ronchetti - ronchet@altavista.it The state problem Internet Client 1 Server +CGI httpd Data User 1 Data User 2 Data User 3 Client 3 Client 2 ? 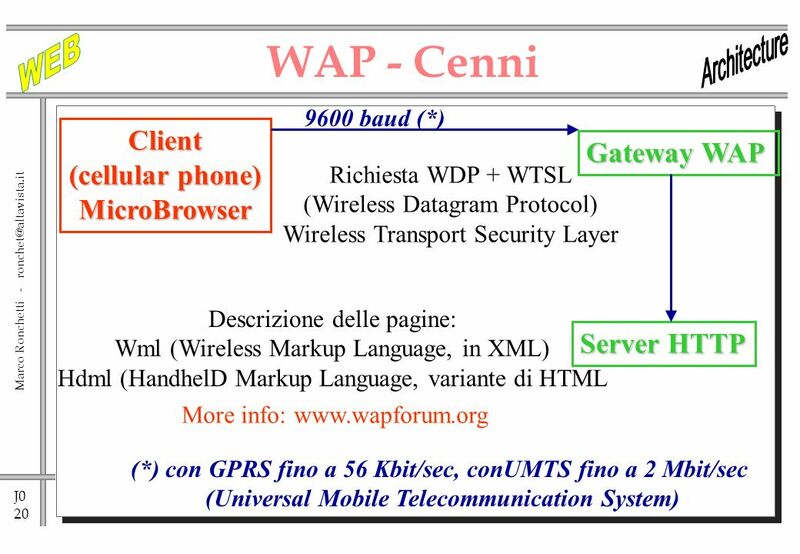 Download ppt "J0 1 Marco Ronchetti - The Web: an architectural view." 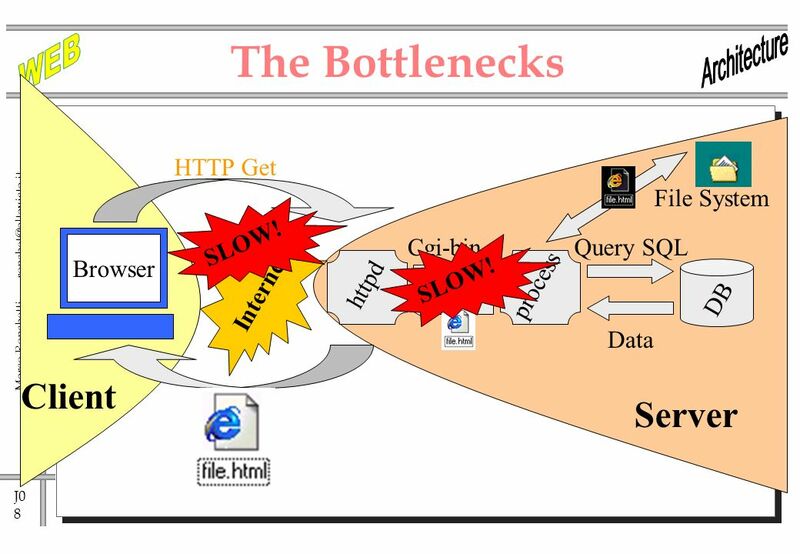 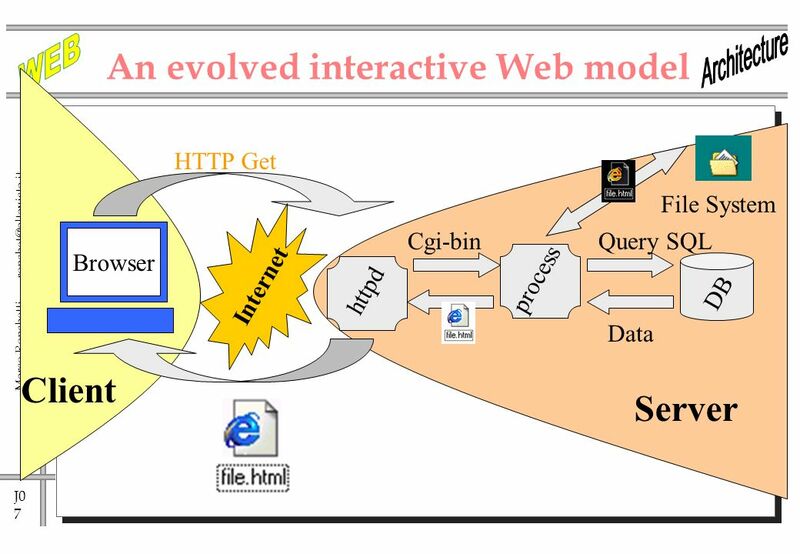 The Web: an architectural view. 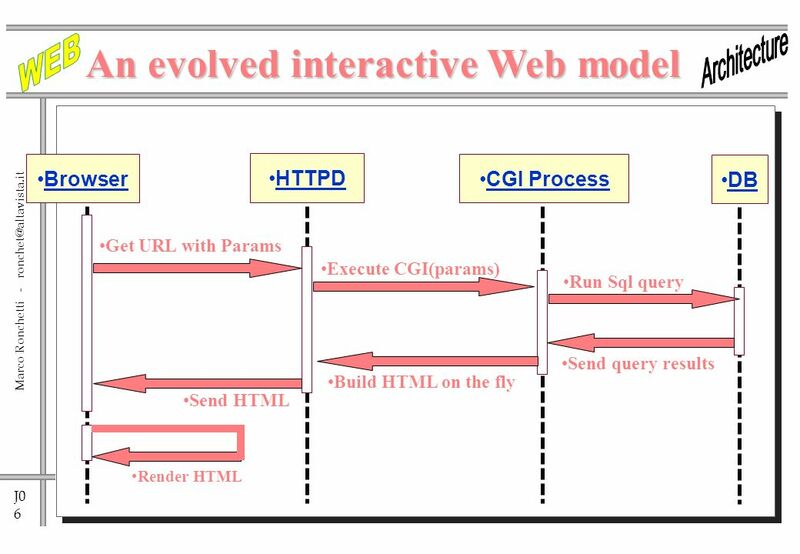 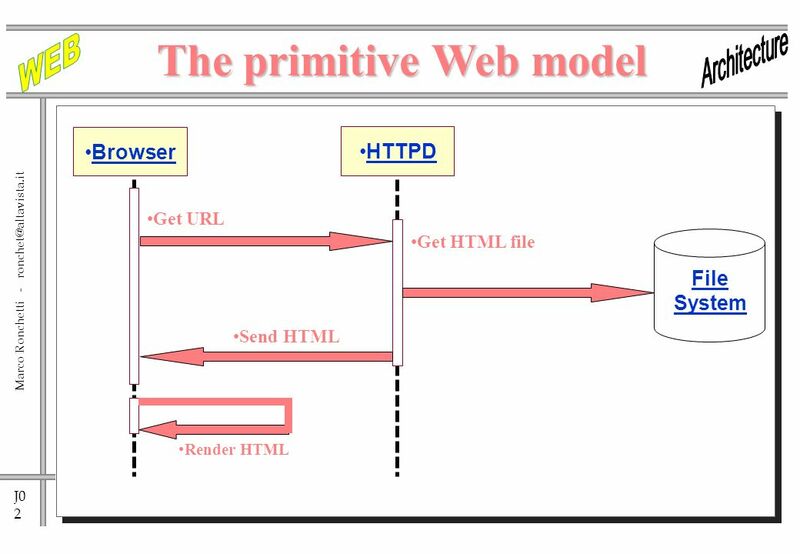 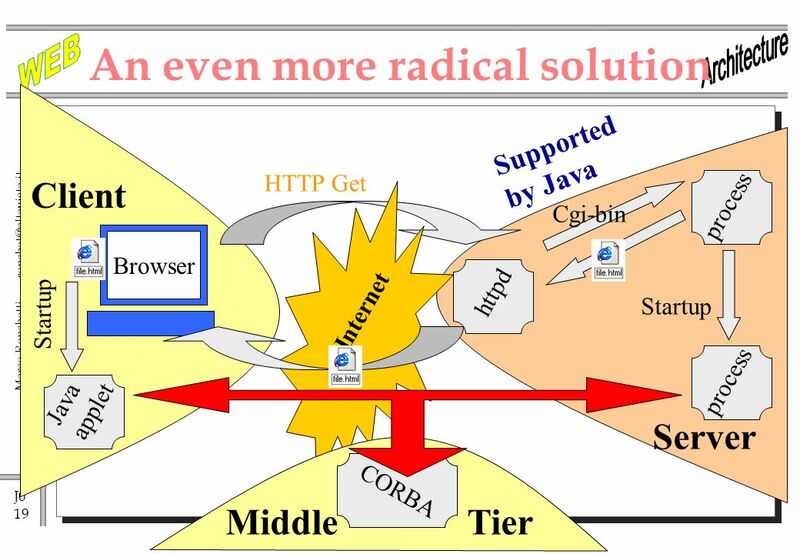 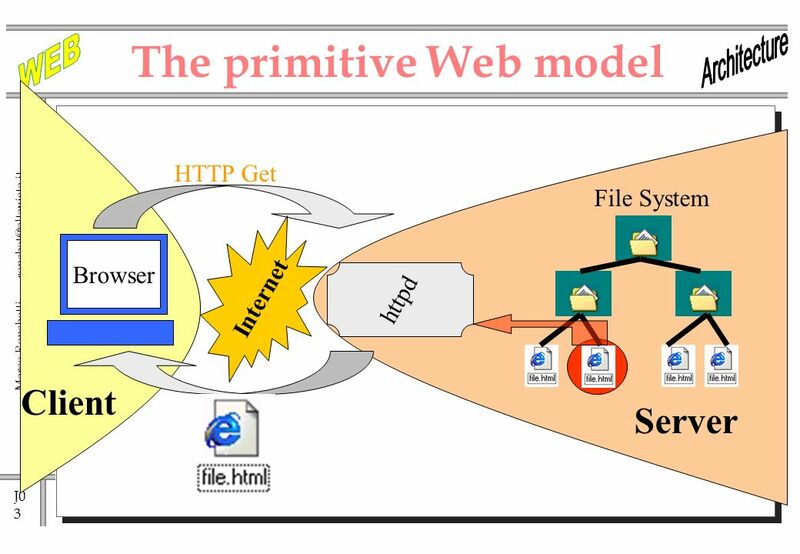 Browser Render HTML Get URL Send HTML Get HTML file HTTPD File System The primitive Web model. 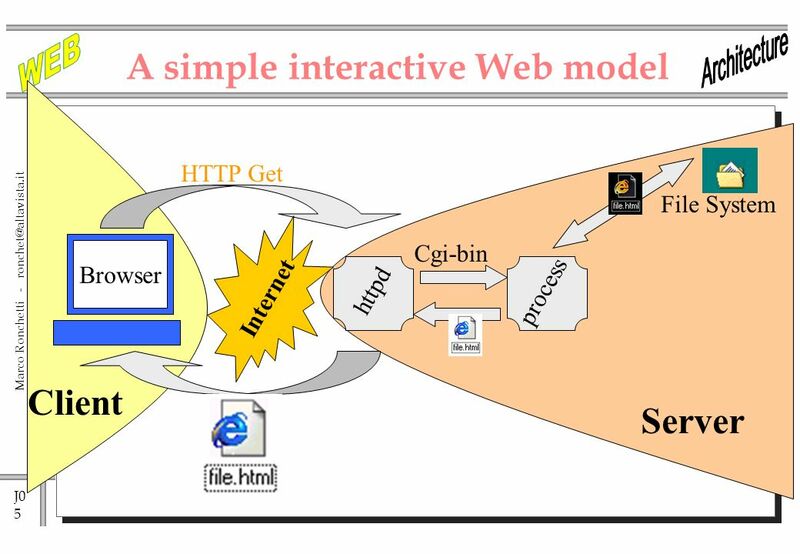 Social Web Design 1 Darby Chang Social Web Design. 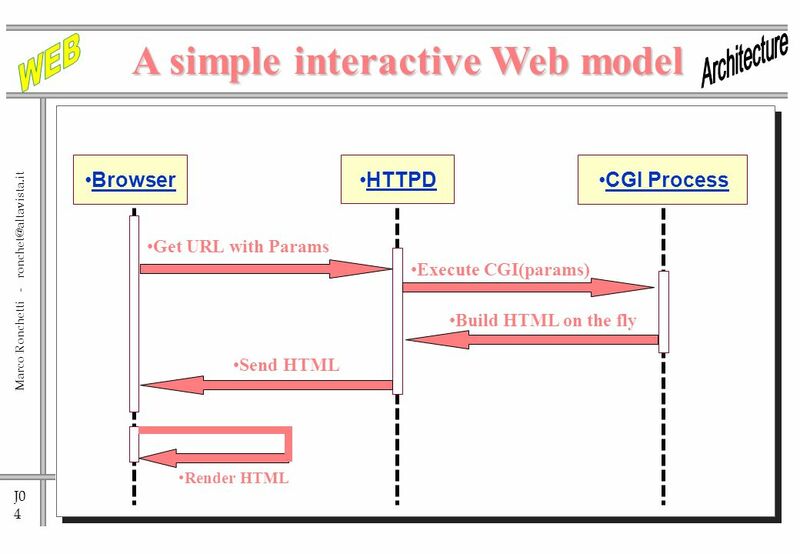 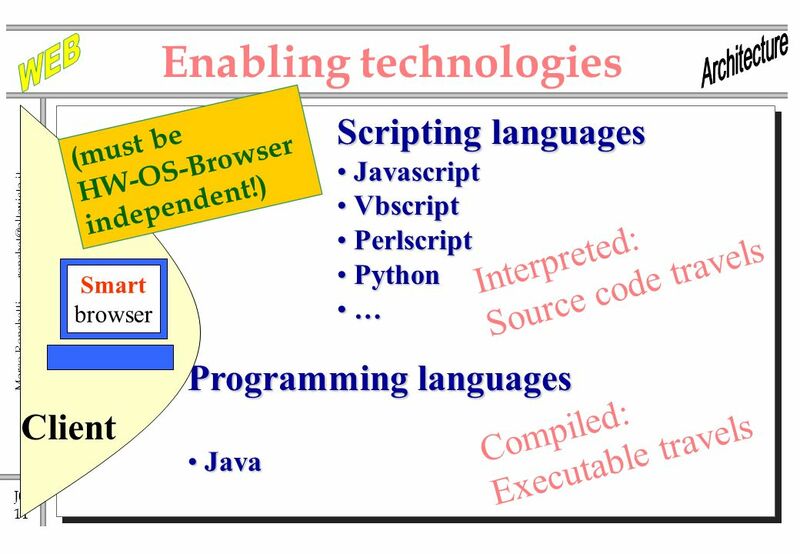 Molecular Biomedical Informatics Web Programming 1. 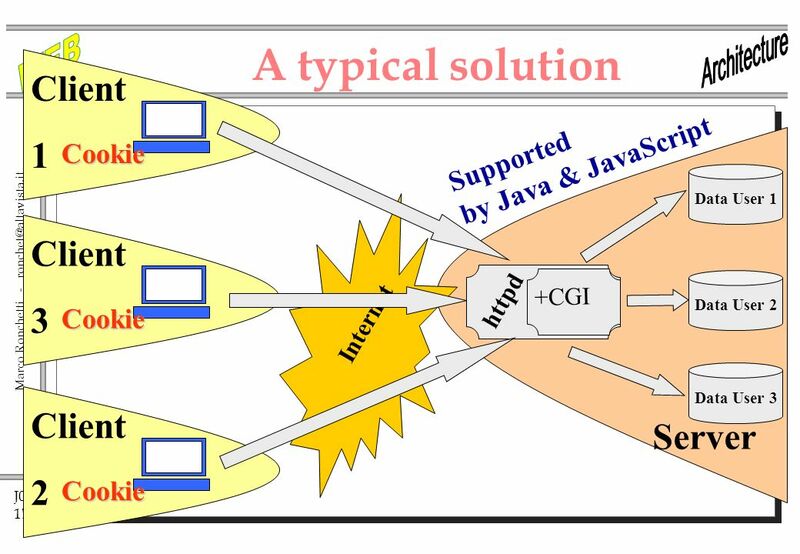 1 CGICGI Common Gateway Interface Server-side Programming Lecture.